Nintendo has announced a new Switch bundle for North America, though it’s one that doesn’t include a specific game. Starting February 14, consumers will be able to purchase a package that comes with $35 in eShop credit. 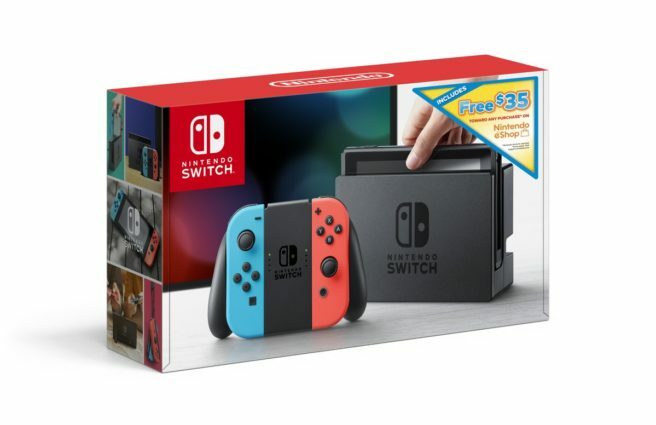 REDMOND, Wash., Feb. 7, 2019 – Starting on Feb. 15, a new Nintendo Switch bundle hits store shelves that includes a nice bit of digital cash that can be used toward buying the most popular games. The Nintendo Switch + $35 Nintendo eShop Credit Download Code bundle will be available at a suggested retail price of $299.99 and comes packed with a bonus $35 credit to use directly in Nintendo eShop.